Operator Comfort: Spacious and comfortable operator station with ergonomic controls; High-back, adjustable suspension seat with retractable seat belt; New dash panel with LCD display – Easy-to-read gauges and indicators include a fuel consumption meter, parking indicator, ECU and fault code indicators; High capacity fuel tank (17.7 gallons) to keep you working longer between fill-ups. 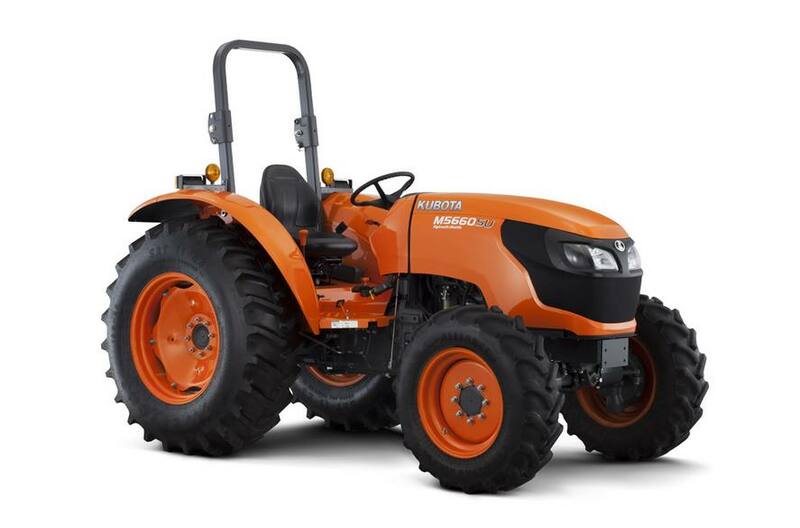 Live-Independent Hydraulic PTO: The M5660SU offers smooth and self-modulating hydraulic independent PTO, allowing the operation of the PTO to work independently of the tractor’s speed or direction. The PTO brake will smoothly slow down the implement to a safe stop. The shaft can be rotated 60 degrees for easy hook-up, even while the engine is off. 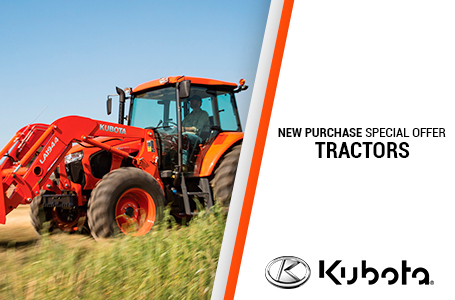 If you're looking for an economical alternative, M5660SU models offer an optional economy PTO. This system can save you money, as well as reduce operating noise by allowing the PTO to run at 540 rpm when the engine is at 1828 rpm instead of 2295 rpm in standard mode. Telescopic 3-Point Hitch and Stabilizers: Attaching rear 3-point hitch implements can be cumbersome on an economy tractor, but not with the M5660SU thanks to the telescopic lower link ends and stabilizers. The hitch provides ample lifting power – up to 3307 lbs. at 24 inches behind the lift point for those heavy duty implements.